Uttarakhand Subordinate Service Selection Commission (UKSSSC) is the newly formed board in Uttarakhand responsible for conducting recruitment examination and selection. UKSSSC has the authorisation to conduct release advertisement, conduct recruitment exams for various Teachers (LT) Group C, D vacancies in different Government departments of Uttarakhand. USSSC Uttarakhand Subordinate Service Selection Commission was formed on 17 September 2014 and the commission came into force on 26 Sept 2014 with appointment of first Chairman of the Commission, Dr RBS Rawat, IFS (retired). 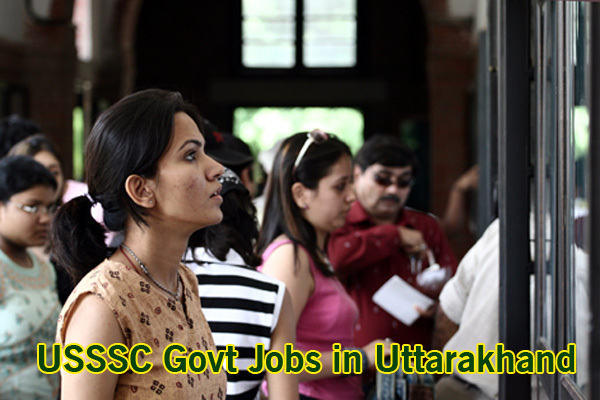 Headquartered in Dehradun, USSSC is formed for filling up of vacancy in government departements in Uttarakhand. USSSC is conducting number of recruitment examination for the vacant Group C or Samuh G posts.